Among the numerous blunders during Sunday’s Golden Globes awards show — from a broken teleprompter to multiple references to “Hidden Fences” — was a very simple typo on a very important table setting. 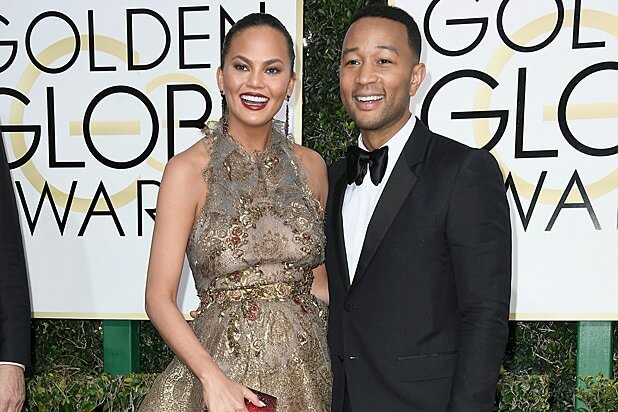 John Legend was somehow renamed as “John Ledgend” by the Hollywood Foreign Press Association on his name card at the Beverly Hilton, a mistake that was not overlooked by his wife, Chrissy Teigen. “Bahahaha loser,” the model wrote on Twitter, along with a photo of a scowling Legend. Aside from the fact that “Legend” is a common word and easier to spell than most names in Hollywood, the “Glory” singer was a presenter at the show, won the Best Original Song award at the 2015 Golden Globes and stars in “La La Land,” which entered Sunday night with seven nominations — the most of any film this year. Big mistake, HFPA. Better luck next time.